If you’re wondering if you can use the NTA’s Nutritional Therapy Practitioner (NTP) or Nutritional Therapy Consultant (NTC) program to start a new career in nutrition—the short answer is YES. I did, and it was one of the best decisions I’ve ever made. While I had done quite a bit of personal study before completing the NTA’s Nutritional Therapy Practitioner program, the course gave me an incredible foundation in functional, holistic nutrition. After completing the 9-month program, I had a much deeper understanding of the body’s physiological processes, and I was able to connect the dots between bodily dysfunction and inputs like nutrition, sleep, and stress. Perhaps just as important, I came out of the program feeling confident in my ability to work with people. A big reason why I went through the NTA’s NTP program was because I wanted to help people live with better physical and mental health. Learning how to establish a process for doing that allowed me to get my coaching practice off the ground while phasing myself out of my corporate job in marketing. 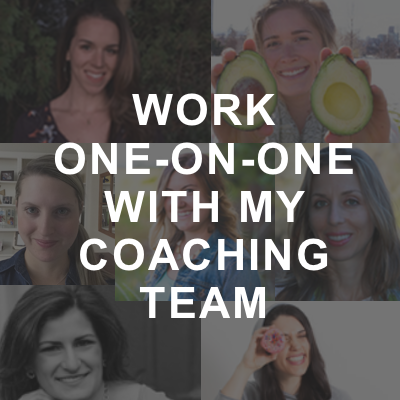 While I no longer work with people one-on-one and instead focus on other things like managing my Coconuts and Kettlebells Coaching Team, producing the Well-Fed Women podcast, writing books and this blog, and creating and selling programs like Strong From Home, I throughly enjoyed and learned a lot from my time working with clients. Because the Nutritional Therapy Association does a great job of describing each program on their website, my goal is to provide insight as someone who has gone through it. Like many people, I was uncertain about my ability to complete the course while balancing a full-time job and my family, and wasn’t sure it would prepare me for what I needed to succeed. Now being able to look back and see all that the program did for me, I’m excited to share with you the inside scoop. First, let’s start with the basics. The Nutritional Therapy Association (NTA) is a nutrition school for those seeking a foundational and holistic approach for assessing nutritional deficiencies in the body. The curriculum is evidence-based and backed by science, and honors the fact that each person has their own bio-individuality—that is, a unique set of needs based on factors such as genetics, ethnicity, and upbringing. The NTA believes there is no one perfect diet that works for everyone, and instead focuses on teaching students how to help clients restore balance through foundational principles. Today, the NTA has trained thousands of Nutritional Therapy Practitioners and Consultants from all 50 states, several Canadian provinces, as well as Australia, Asia, and Europe. What’s the difference between the NTP and NTC course? The NTP and NTC courses have the exact same core curriculum. They are both 9-month courses, and include the flexibility of self-paced, online study with the benefits of instructor-led conference calls. The major difference between the two programs is that with the NTP program, you are taught the Functional Evaluation and Lingual-Neuro testing technique. The Functional Evaluation is a tool that allows NTPs to identify and address imbalances in the body. It’s a hands-on process, so you are taught it at the in-person workshops. To learn more about the Functional Evaluation, see What is the Functional Evaluation and Lingual-Neuro Testing? With the NTP course, you must attend three in-person workshops, whereas with the NTC course, you attend one in-person workshop. During workshop weekends, you review the coursework, do group exercises, network with other NTP/NTCs and students in your class, and take exams. You’ll notice there are more locations for the NTP course, which means there’s a greater chance of one being in your region. The reason I chose to do the NTP course was because I wanted to be equipped with all the tools available to help people. Even though I wasn’t sure whether I wanted to work with clients in person or online, I liked the idea of having more interaction with instructors and students. The additional workshop weekends helped me developed a much deeper understanding of the course material because I was able to review it and ask my instructors in-depth questions. The entire program is based on six foundations to optimum health. They include: digestion, blood sugar, fatty acids, minerals, hydration, and of course—a nutrient dense diet. 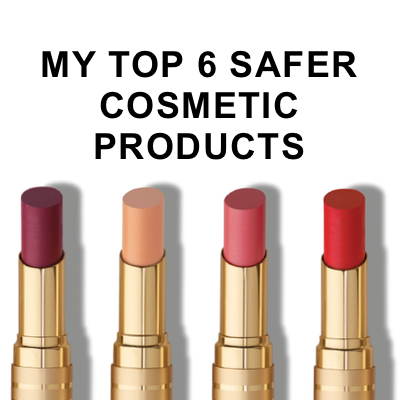 These six foundations work synergistically to help the body function appropriately. Disease or dysfunction is often the result of one or multiple foundations being out of balance. Imbalances are the root cause of many modern health issues, including cardiovascular disease, autoimmune conditions, hormonal imbalances, infertility, and mental health issues. Over the 9-month course, each foundation is explored in depth. Students learn about the bodily systems involved with each foundation, how the body responds when the foundations are out of balance, and what to do to support each foundation. 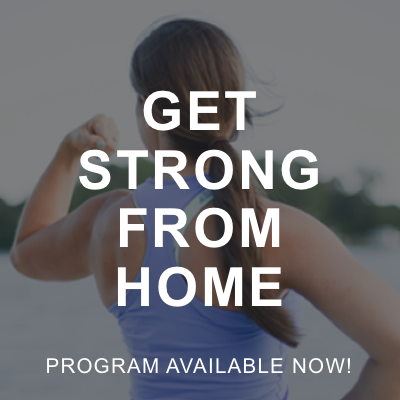 There’s also additional information included in the course about how to work with clients, grow your business, and understand nutrition science and research. While there is a ton of information in the course, the NTA does a great job of organizing the material. The NTP and NTC course topics are broken down into 15 modules, starting with ones that are more basic and building to concepts that are more complex. In each module, you’ll learn information through video lectures, audio lectures, assigned reading in textbooks, and you’ll have required reading to do. You also have access to instructor-led conference calls and forums where you can reach out to your instructor and other students. You’re tested on the module information through short quizes and essay questions, and on the midterm and final exam. How much time will it take me to do the coursework? This is by far the #1 question I get from people interested in the Nutritional Therapy Association programs. According to the NTA, the coursework will take you 15-20 hours a week. Personally, it took me about 10-12 hours a week. I spent an hour or two each day during the week, and 3-5 hours one day on the weekends. I had a full-time job while completing the course, and chose to go ahead and get my business and blog started as well. The course has a couple of “flex” weeks built in that allow you to catch up or take a break, so I often shifted the work to better fit my schedule. Some weeks, I didn’t work on the coursework at all, and others I worked slightly more than normal. If I was short on time or overloaded with work at my job, I would listen to the audio lectures while walking my dogs or making dinner, and would skim the book that was part of the required reading until I understood the general concepts. Overtime, I got into a grove and had a good idea of what information I really needed to study to understand. When it comes to how much time you’ll invest in the program, you also need to factor in the workshop weekends. The NTP program requires you to attend three workshop weekends, one of them being four full days (Thursday-Sunday). Traveling to and completing these workshop weekends will require you to take some time off if you have a full-time job. These weekends are jam-packed with learning, information, and excitement, so it’s definitely worth it. What can I do with my NTP or NTC certification? With an NTP and NTC certification, you can do so many things. Some people chose to work with clients in person at an office. You can rent out your own office space, team up with other health care providers, such as massage therapists or other NTPs to share an office space, or you can work with established medical professionals to provide care under their supervision. I’ve also seen NTPs work out of facilities like CrossFit gyms, which is a great way to get regular clients. You can also create corporate wellness programs, and pitch your programs and services to local corporations. If you want to work with clients in person, you’ll need to market your business locally. You can set up at expos or fairs, perform free clinics or seminars at your local library, gym, school, or running store, or make visits to like-minded medical professionals such as chiropractors and physical therapists to build a relationship and ask for referrals. If running a practice locally isn’t up your alley, you can also work with clients online. Running your business through an online platform allows you to work with people anywhere in the world using tools such as FaceTime, Zoom, or Skype. You can also run group programs where you support people through emails, private forums (like Facebook groups), and conference calls. 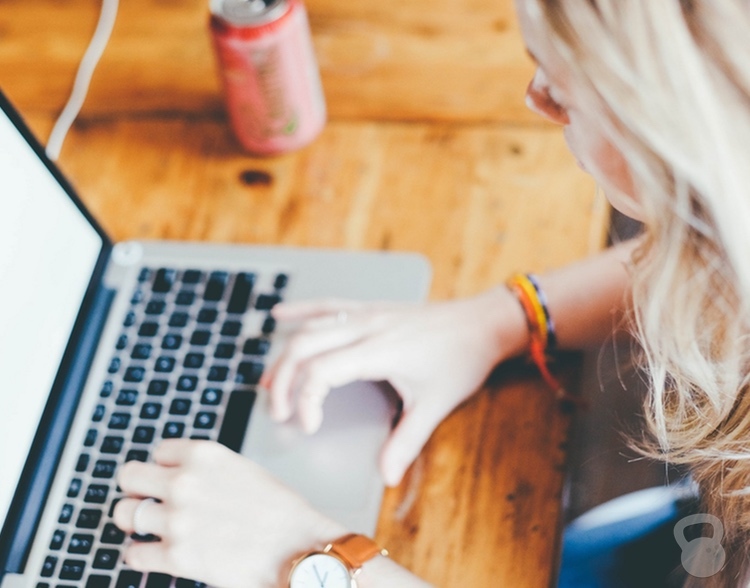 To market yourself online, you can start a website, write articles, share regularly on social media, start a podcast, create online programs, or write a book. Once you build credibility, you might be asked to speak at online summits, appear on podcasts, or write guest blog posts. The nice thing about running your business online is the ability to diversify. You can establish more passive income strategies, such as making money through advertisements on your website or selling digital products like plans or programs. Ultimately, what you do and how you do it depends on your strengths, what interests you, and the direction you’d like to take your business. Of course, you don’t have to have all of that figured out before you take the one of the Nutritional Therapy courses. But, you’ll be ahead of the game if you can figure that out at the start of the program rather than at the end. Note that a Nutritional Therapy Practitioner or Consultant does not diagnose or treat disease, but instead makes nutritional recommendations for balancing the body and promoting optimal wellness. NTP/NTCs are approved by the NTA as a certifying organization, but are not licensed or certified by any state. Please check with your state for specific information on licensing requirements. How does the course compare to other programs? Because I haven’t been through other nutritional certification programs, I can’t speak to how they compare to the Nutritional Therapy Association. I can share why I chose the program over other comparable programs, and what helped me make my decision. When looking into nutrition education, I always had my end goal in mind. I wanted to build an online business, write articles and create programs, and work with clients one-on-one as a part of that. I also needed to maintain my full-time job while going through the program. So, early on I had ruled out getting a masters in nutrition or going through a registered dietician program. When it came down to it, I wanted to have a better understanding of nutrition science and how to create plans that would help people pursue their goals. An online certification program was the best solution. When researching online programs, I looked at the coursework, read online reviews (like this one! ), and looked at what people were doing who had already been through each program. Did they write quality content? Were they knowledgable and able to help a variety of people? How did they run their business? Evaluating what graduates did and the content they produced gave me incredible insight into how the program prepared students for the “real” world. After doing my research, I eventually decided to go with the Nutritional Therapy Association for a few reasons. First, I loved the coursework. After reviewing the syllabus and required reading, I was incredibly excited about the material. Second, I loved the fact that there were in-person workshops with qualified instructors. All of the other online programs I looked at didn’t have any in-person learning opportunities. For me, learning occurs through repetition and experience, and during the workshops, I had SO many “ah-ha” moments. Lastly was price. While I knew my education was going to require a financial investment, I loved that the NTA made it affordable. Other programs seemed to be incredibly expensive (sometimes double or triple the cost), and didn’t have all the components of the NTA’s programs. I’m ready to sign up. What’s my next step? The NTA makes it super easy to sign up for the NTP or the NTC program. You simply download and fill out the registration form, and either mail, fax, or email it back to them. 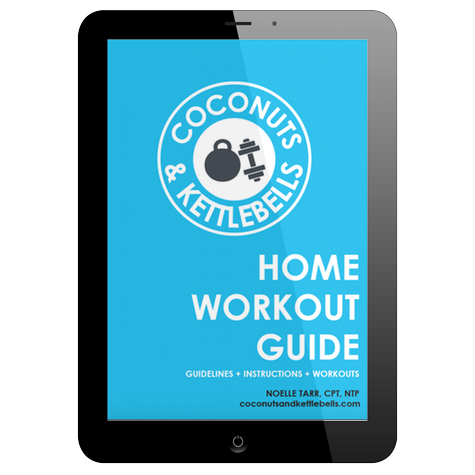 And be sure to tell them Noelle Tarr of Coconuts and Kettlebells referred you! Thank you, friend! There are two different start dates for the NTP/NTC programs: one in September and one in February. You also have the option to pick your class location. There is a limited number of people that can be in each location, so I recommend signing up soon after registration opens so you can get the one closest to you. If you’re not ready to sign up yet, I highly recommend signing up for the NTA’s FREE 7-day email course. 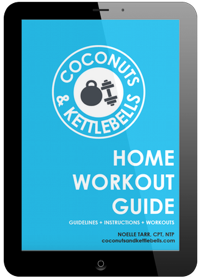 It’s an excellent primer if you’re new to Nutritional Therapy, and it will give you a great idea of what the coursework will be like. The NTA also does Info Session Webinars twice a month where anyone can ask Lead Instructors questions about the course or becoming an NTP/NTC, and they do a ton of live videos on Facebook with NTA staff and graduates. And so, there you have it. A complete and comprehensive review of the NTA’s NTP/NTC programs. Got any additional questions for me? Post them below and I’ll do my best to help! Thank you so much for posting this detailed review. I had a few questions around this as I am currently pursuing my M.A. in Nutrition. I am investigating various certification programs from nutrition health coaching to functional medicine health coaching and more – I’m leaning more towards doing something more specific around integrated nutrition and functional medicine and feel like the certification program you are discussing would also be a great option. I’m very interested in learning more about the various imbalances that can cause all of the major health issues people are facing today, specifically when it comes to hormonal imbalances, infertility, etc. Have you heard of the Functional Medicine Coaching Academy? And do you think this program would allow someone to not only practice one on one with clients but potentially work in more of a holistic medical practice, providing nutritional therapy advice for patients? I’m assuming yes, but there are just SO many certifications, it’s getting hard to differentiate and figure out which would make the most sense! I am going to follow a similar approach as you did when researching programs looking at past graduates and what they are currently doing! That should help too! Thank you! Hi Jackie! I haven’t heard of that academy, but it sounds interesting. You are right—there are SO many certifications out and you have to be careful with the direction you choose to go. The NTA has been around for a long time and I truly believe their curriculum is the most comprehensive. As far as working with a holistic medical practice as an NTP—it’s definitely possible, but it might be hard. I personally go to a holistic family medical practice, but the functional medicine practitioners are the ones who give nutrition advice, mostly because they know the importance of diet and how it affects virtually every medical condition. I find chiropractors are often great doctors to team up with, as they know the importance of diet, but often don’t have the knowledge or time to help patients in that area. Do you know how the NTP/NTC program and certification is recognized in Canada (more specifically Ontario)? My goal is Running a business in coordination with fitness, online programming. The certification will be recognized the same—however, I’m not sure about Canadian regulations on the nutrition profession. In the United States, scope of practice for NTP/NTCs is determined by state laws. I’m not totally sure how it works for Canada, but I’m certain that if you reached out to the NTA they would be able to give you some insight! I am researching programs and looking to start a practice. Health, fitness, and wellness have been my lifelong passion. I am so excited to finally pursue what makes me happy! What about IIN( Institute for Integrative Nutrition)? Would you know how it compares to this program? They have been around a long time as well. Thank you for any input you could offer! Hi Janice! I didn’t go through that program so I don’t have personal experience as a student, but in my talking with others who went through other programs and then went through the NTA’s program to get a more comprehensive education, I can say that I do recommend the NTA’s program as the primary choice. So the difference in the NTP/NTC is one let’s you do hands on evaluations and the other doesn’t? Also do you learn about different WOE like paleo, keto, WFPB so you can offer different advise to your clients? Hi Lynn! The NTC is entirely online, and DOES NOT include teaching or hands-on learning of the LNT. In both programs, you get a very comprehensive overview of nutrition, macronutrients, and how to adjust macronutrient ratios. You’ll understand how macronutrients/micronutrients work in the body, which will give you all the tools you need to understand popular diets like paleo, keto, etc. 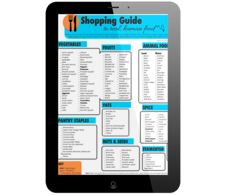 Much of the reading material is about specific adjustments to diet, so you will get an overview of the more popular holistic diets. Good luck! What is the difference, as a patient/customer, between seeing a Registered Dietician/Nutritionist vs. a NTP? Credentials and schooling. An NTP gets a holistic education as listed above, a Nutritionist may have a Masters in Nutrition from a University, and a Registered Dietician has met all the educational standards of the Academy of Nutrition and Dietetics (AND).